The Inn on the Lake is located in the center of Wine Country along the striking north shore of Canandaigua Lake. Canandaigua, meaning “The Chosen Spot” in Seneca Indian, is situated in a serene and picturesque area that is perfect for all types of occasions be it a wedding, meeting or a serene holiday retreat. 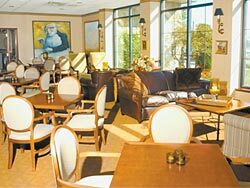 Conveniently this treasure of a resort is only 45 minutes from the Greater Rochester International Airport and 9 miles from the New York State Thruway.The Inn on the Lake is a elegantclassy hotel. The Canandaigua Inn at Finger Lakes boasts 134 rooms and 28 suites that are elegantly appointed with well chosen furnishings. Depending on your choice, you can stay in a room with a lake front patio/balcony. The rooms are well equipped to ensure all your needs are met and a range of amenities including luxury linen, high speed internet, cable TV, living room and kitchenette. The Canandaigua Inn exceeds your expectations by providing more than luxurious lakefront accommodation. Relax and unwind with a drink at the lakeside lounge and patio bar. 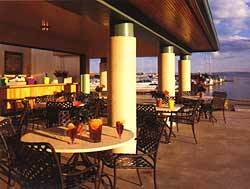 Choose from an array of delectable cuisine at Max on the Lake. Have fun at the indoor and outdoor pools and fitness center. The resort also offers an impressive 7000 square feet Conference Center and provides custom catering, audiovisual equipment, planning services, setup services and more. We recommend use travel insurance to cover them when ever they travel. Explore and discover the wonderful surroundings and activities that Canandaigua has to offer including boat tours, gardens, wine, arts, entertainment, hair design and spa, shopping, sports and recreation.